This scenic and mostly dirt and crushed limestone path extends from Broad Ripple Village in the north to 30th Street south. 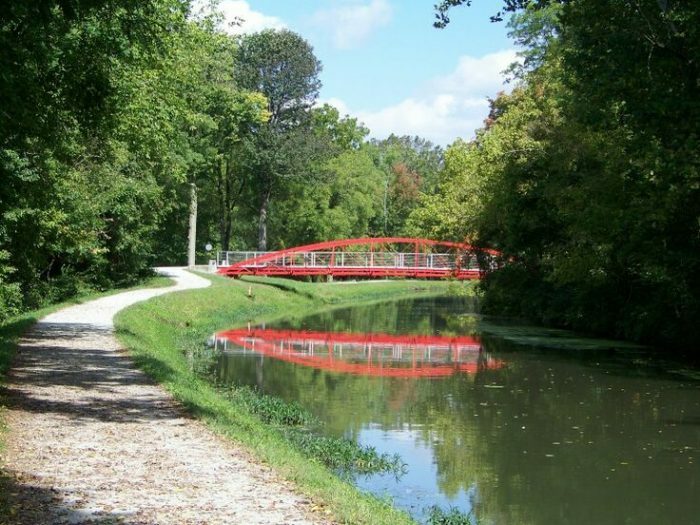 It is best maintained in the middle third between 52nd and Michigan Road, the heart of the Butler campus and the most popular section of the Canal. The trail runs by 19th century bridges, a pedestrian bridge, the Museum of Art, Butler Campus, and other universities and parks. A stone marker, located at 52nd Street, shows many landmarks and the distances between. South End: Indianapolis Museum of Art, Ruth Lilly Visitors Ctr. @ North Michigan Rd; North End: Broad Ripple Ave.